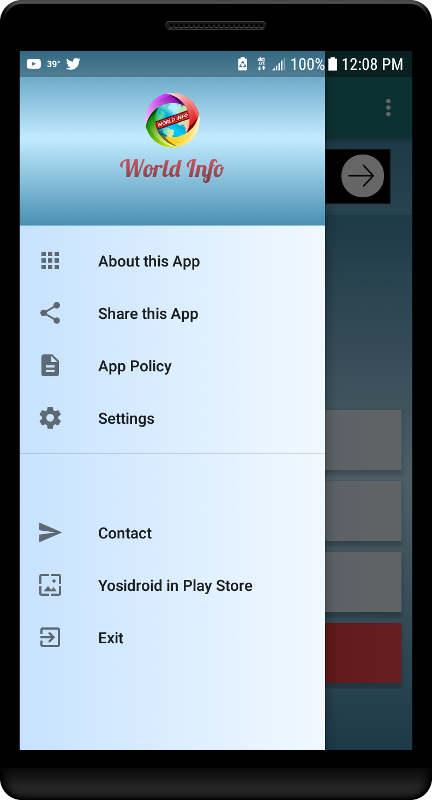 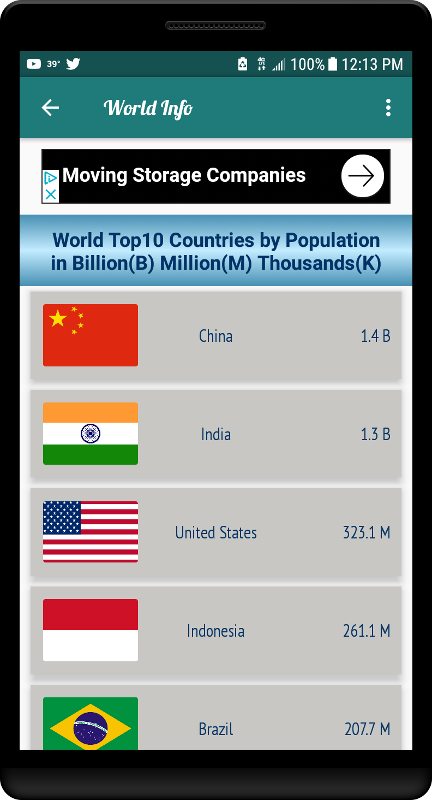 The app displays basic and core information data of each countries around the world. 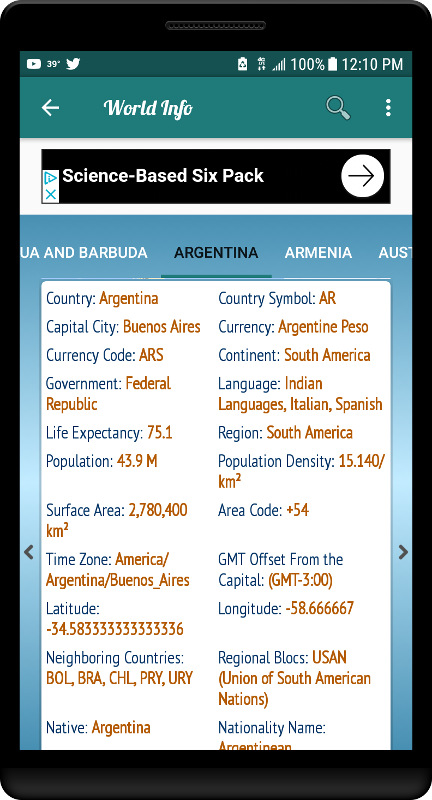 Including official Country name, Country code, Capital city, Official currency, Currency code, Continent, Government type, Languages spoken, Life Expectancy, Region, Population Density, Countries Population, Surface Area of a Country, Area code, Latitude, Longitude, Timezone, GMT, Neighboring Countries, Blocs, Native name, Nationality name, Country GDP, GDP per_capita. 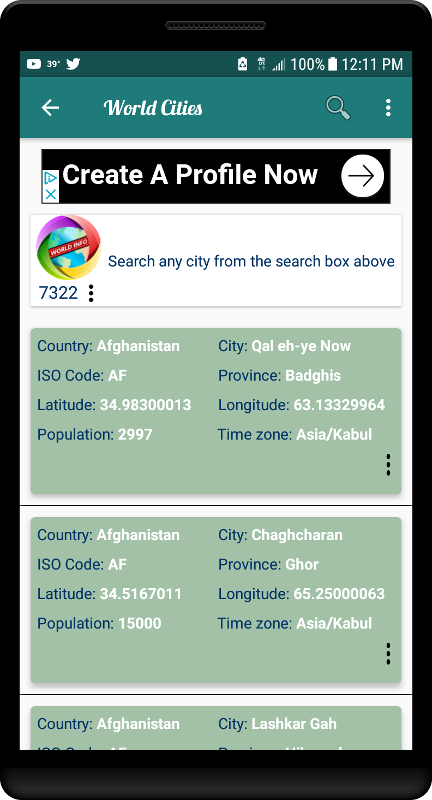 Also, this app gives you a brief data of over 7300 cities around the world that includes each cities current time clock, current weather reports and each cities map locations. 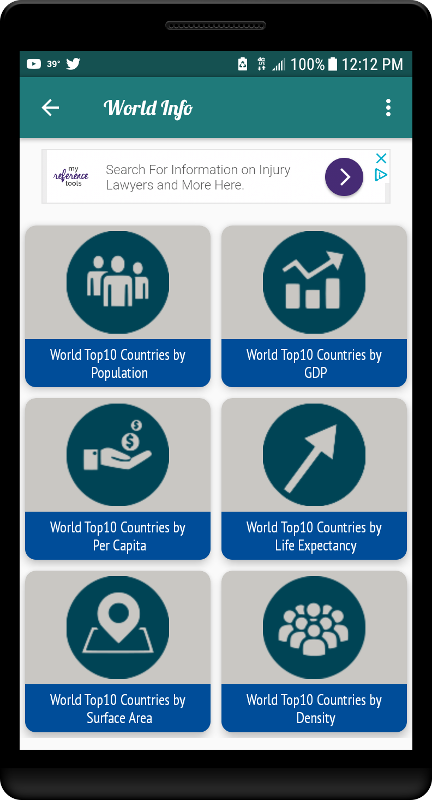 In addition to the above features, the app also analyzes and displays top 10 countries in six major important factors. 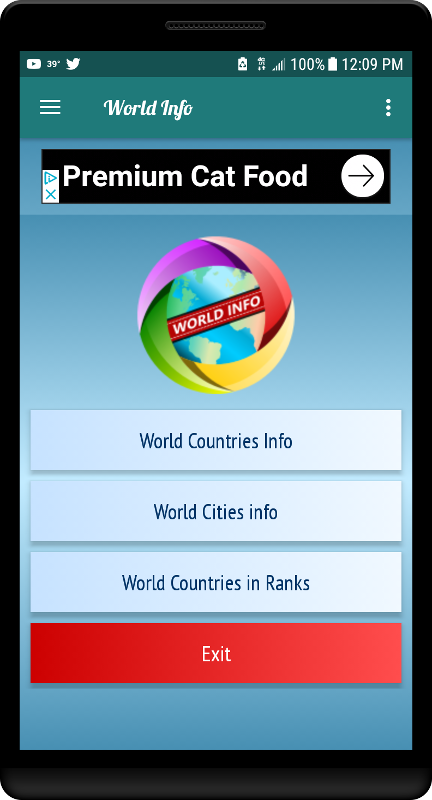 Enjoy the app and happy info gathering!